But broadband speed isn't just about the connections in the "last mile." Equipment that connects users to a network, for example, mobile base stations, also needs to be able to keep up and not become a bottle neck. And raw capacity isn't the only way to increase speed -- content delivery networks, which push content closer to the user so it can be obtained more quickly, will become more widely used, according to Ericsson. 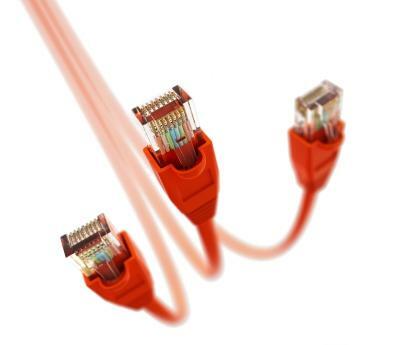 The use of PON (passive optical network) technology in fixed broadband networks has grown in popularity in the last couple of years, thanks to lower costs compared to using an optical fiber for each household. The technology calls for several households to share the same capacity, which is sent over a single optical fiber. To boost DSL to those kinds of speeds, the vendors are using a number of technologies. One way is to send traffic over several copper pairs at the same time, compared to traditional DSL, which only uses one copper pair. This method then uses a technology -- called DSL Phantom Mode by Alcatel-Lucent and Phantom DSL by Nokia Siemens -- that can create a third virtual copper pair that sends data over a combination of two physical pairs. The rollout of LTE (Long Term Evolution) is now under way in Europe, Asia and the U.S., and by the end of 2011 about 50 LTE commercial networks will have launched, according to an October report from the Global Mobile Suppliers Association (GSA) detailing current operator launch plans. LTE may be getting most of the attention, but 2010 has been a banner year for HSPA+ (High-Speed Packet Access). Migration to HSPA+ has been a major trend this year and more than one in five HSPA operators have commercially launched HSPA+ networks, according to the GSA. However, today's download speeds of up to 21M bps is far from the end of the line for HSPA+. Nine operators -- including Bell Mobility in Canada and Telstra in Australia -- have already launched services at 42M bps. The average real-world download speed is 7M bps to 14M bps, according to Bell. More than 30 DC-HSPA+ (42M bps) network deployments are on-going or committed to, including T-Mobile in the U.S. It will launch services next year, but isn't ready give any additional details on timing, according to a spokeswoman.